Striking and enduring, EarthForm is a holistic wall system with the solidity and grandeur of stratified sedimentary stone. 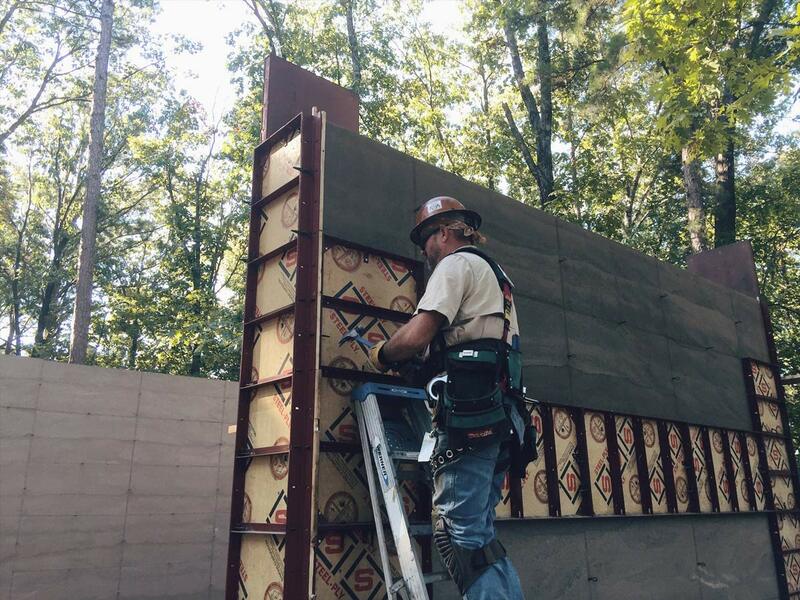 EarthForm specializes in constructing extremely well-built and detailed stabilized rammed earth structures. 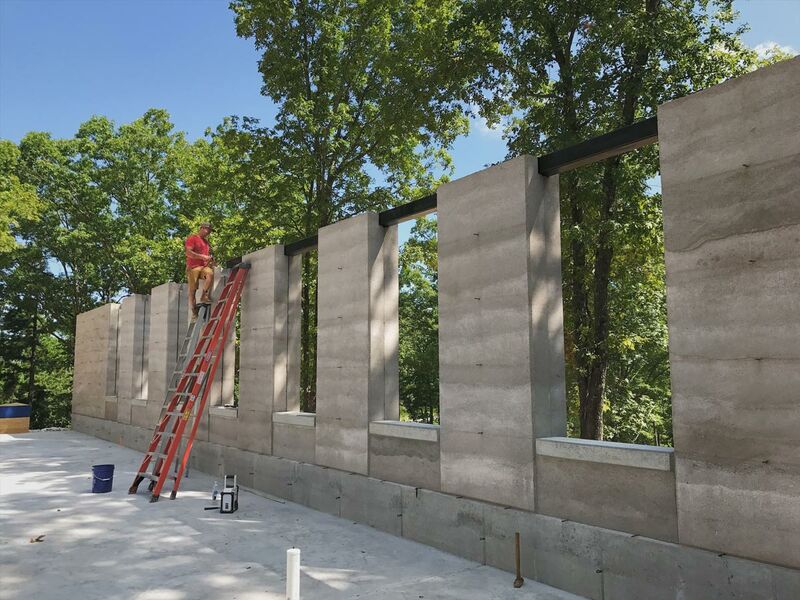 The EarthForm wall system begins with reusable forms that are filled with a mixture of damp earth and high performance admixtures. 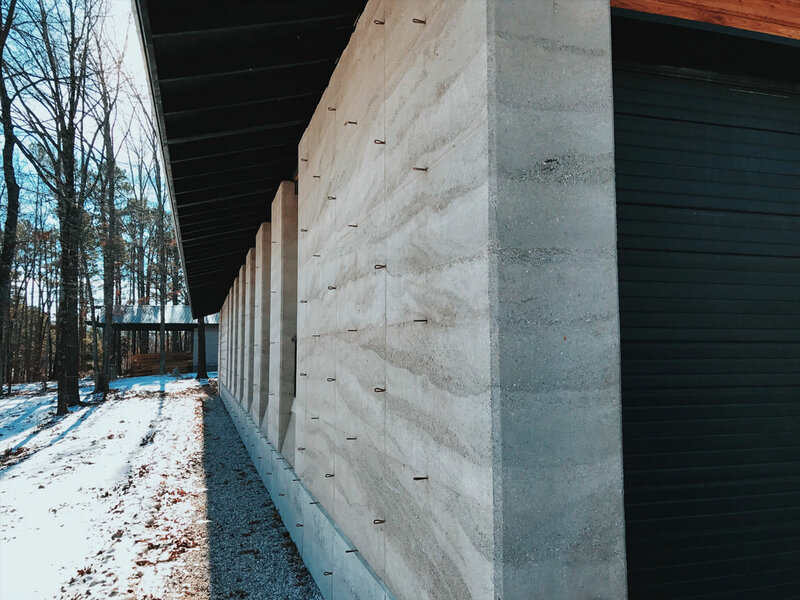 This soil blend, once compacted, creates structural rammed earth walls that will last thousands of years without the need for maintenance. EarthForm offers construction and consulting services for projects of all sizes, from a guest house to a corporate headquarters. 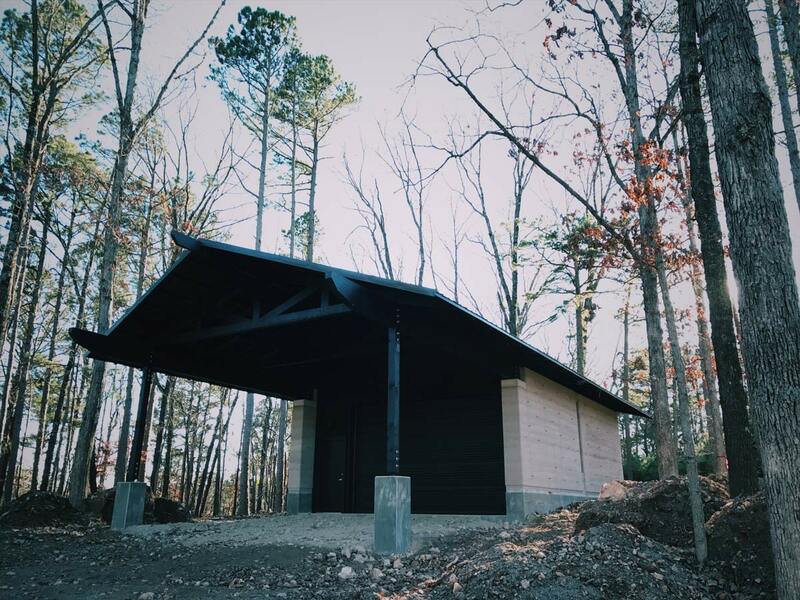 In addition to rammed earth, we also offer full design build services with in-house concrete, metal, and wood fabrication. From steel door and window systems, to concrete Japanese soaking tubs, to modern custom casework, we are here to make your dreams a reality. A finished rammed earth. timber, and concrete garage by EarthForm. At EarthForm we own all of our equipment, from excavators, forms, air compressors, and rammers. 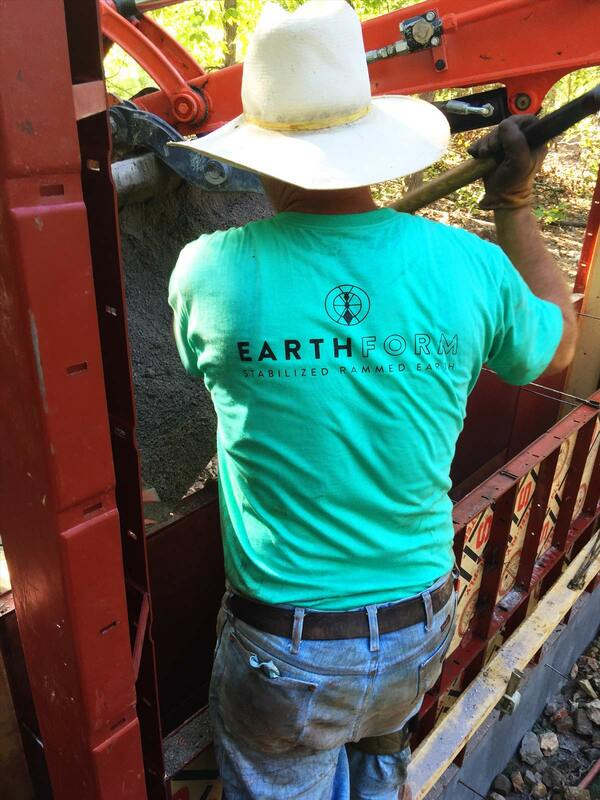 Loading a form with stabilized rammed earth mix. Removing forms from a freshly rammed wall is always an exciting occasion. 18" thick x 144" tall rammed earth walls for this 4,000 sqf studio. 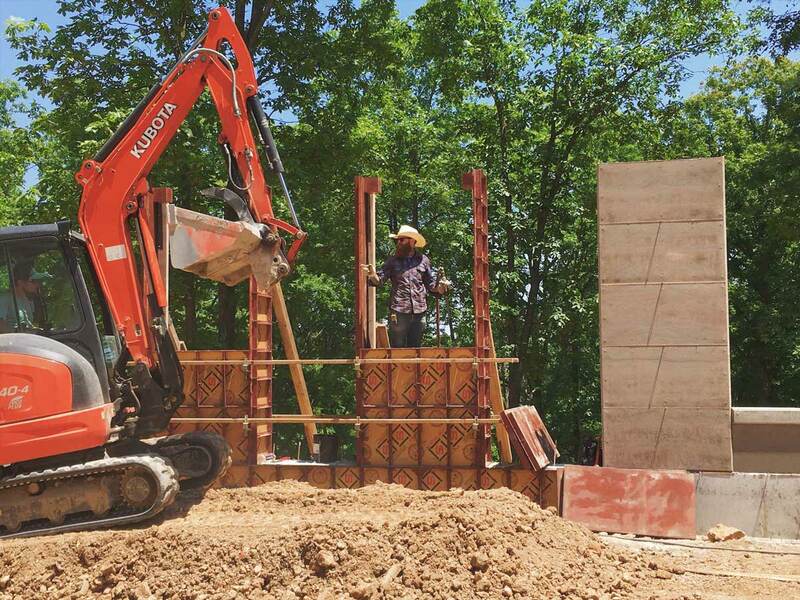 Steel window lintels being placed in a rammed earth structure by EarthForm. Send us an email, we'd love to start a conversation about your project!